We are a non-denominational, independent non-profit association dedicated to Scripture research. We seek grace to stand firmly for the literal inspiration of the Sacred Scriptures in the original. Concordant Publishing Concern is not a church, but a not for profit dedicated to translating the Scriptures objectively, accurately, consistently; and, to helping others understand them. One of the ways we do this is to provide all our visitors with free online access to the Concordant Literal New Testament, The Concordant Version of the Old Testament, and many other publications. 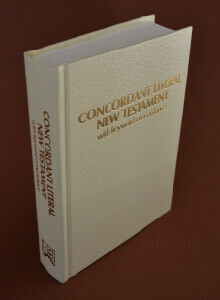 You can also listen to the Concordant Literal New Testament for free on our site. The Concordant Publishing Concern is a non-denominational, non-profit association founded for the purpose of disseminating the facts and truths of the ancient manuscripts of the Scriptures. Our research efforts are centered upon the many issues involved in discovering the meaning of the original Scripture terms themselves. We seek to determine how we may best translate these same Scriptures, striving to do so objectively, accurately, and consistently. Our translation principles, both of vocabulary and grammatical analysis, govern all that we do. One of our founders explained our mission quite simply as "We seek to be of service to all, while lording over the faith of none." You can read more about it in our bi-quarterly magazine, Unsearchable Riches. It has been published continually since 1909. We also have a Founding Philosophy and Mission page that explains more in detail. "What is the Concordant Publishing Concern About?" explains more about us in detail. The word Concordant means "agreement" and "consistent". You do not have to wonder about how we translate the words, we have built-in an easy way for you to see how we do it. Throughout the Concordant Publishing Concern's translation, every word is analyzed and a single English word is assigned to each Hebrew word as its STANDARD (synonyms or idiomatic variants are used where necessary, for the sake of good diction). Boldface type is used for words, or even parts of words, having exact counterparts in Hebrew. Lightface type is used for words, or parts of words, which are added for readability. Also, small symbols and abbreviations indicate variant Scripture sources used. The result is an accurate and concordant Old Testament. 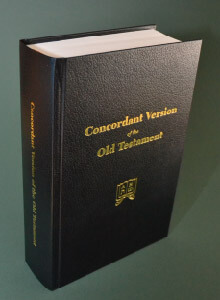 The complete Concordant Version of the Old Testament, or CVOT, is available to read online for free and to order. The CONCORDANT LITERAL NEW TESTAMENT (CLNT) can be used in two basic ways. First it may be read devotionally, disregarding all the boldface, lightface, various signs, symbols and abbreviations. In this case, readers still gain a distinct advantage over those using less accurate translations, because all of the vocabulary is rendered uniformly. One has the satisfaction of knowing that he is reading a version that uses a “pattern of sound words” (2 Timothy 1:13). Next, the CLNT may be used to study the Scriptures themselves in exact detail. When used in this way, the reader familiarizes himself with the Instructions for Use and The Abbreviation Key. You quickly learn what it means when words are in bold, in lightface, etc. We believe you do not need to be a scholar to find, for yourself, the true meaning of the Scripture. Read the CLNT for free or Order it today. Check Out More Free Publications! One of our founders explained our mission quite simply as "We seek to be of service to all, while lording over the faith of none." You can read more about it in our bi-quarterly magazine, Unsearchable Riches, published continually since 1909. A selection of Concordant Publishing Concern writings is available on the Expositions page. An exposition is a "comprehensive description and explanation of an idea or theory". Our expositions, or articles, thoughtfully delve into what the Scripture actually says. Then, we endeavor to judge, in light of all relevant considerations, how we are to understand what is said.